The bad news? Justice Anthony Kennedy — the court’s swing vote who at least seemed open to the notion that the court should regulate the practice — is long gone. His replacement? The very conservative Brett Kavanaugh. What’s at stake is the future of democracy, reform advocates say. Without legal curbs, rapidly advancing computer technology and the ability to gather limitless data on voter habits will lead politicians to draw maps for congressional and legislative elections that increasingly render some voters virtually powerless. 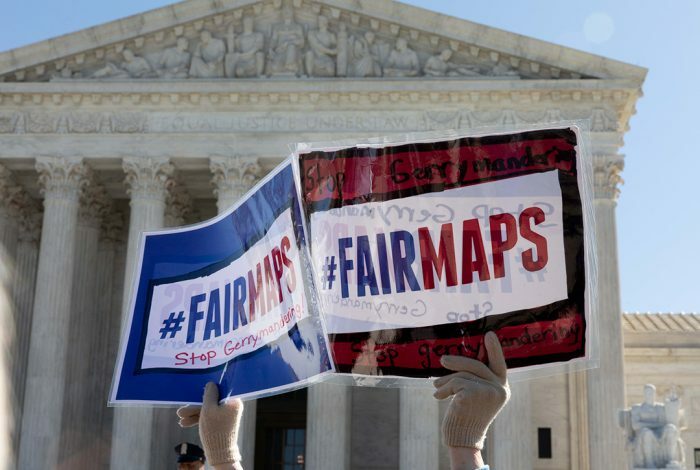 The nine-member court heard oral arguments on March 26 to strike down redistricting maps in Maryland and North Carolina. The cases are “about as perfect as you can get” to illustrate extreme partisanship in redrawing legislative lines, Michael Li, senior redistricting counsel for the Brennan Center for Justice, told WhoWhatWhy. “North Carolina is tantamount to not only being caught with the murder weapon in your hands standing over the body. It’s like having announced beforehand ‘I’m going to commit the murder and here’s where you could find’” the body. In North Carolina, Republicans drew a redistricting plan that guaranteed their party a significant edge in any future elections. In Maryland, Democrats so drastically changed the boundaries of one congressional district that a longtime Republican incumbent lost his seat. North Carolina is particularly egregious since it affects the entire state, and politicians made no bones about their motives. “North Carolina is tantamount to not only being caught with the murder weapon in your hands standing over the body. It’s like having announced beforehand ‘I’m going to commit the murder and here’s where you could find’” the body, Li said. Surely if any case illustrates blatant partisanship, the North Carolina case — Rucho v. Common Cause — seems to fit the bill. Nearly 50 percent of the state’s voters chose Democrats in 2018, but that wasn’t reflected in the election results: Only three congressional seats went to Democrats, with at least nine seats remaining Republican. (Charges of election fraud in one district invalidated the initial victory for the Republican candidate, and a new election is in the works.) That wasn’t an accident. Republican state legislator David Lewis wasn’t coy about his intentions. “I propose that we draw the maps to give a partisan advantage to 10 Republicans and three Democrats, because I do not believe it’s possible to draw a map with 11 Republicans and two Democrats,” Lewis said in 2016. In January 2018, a three-judge appellate panel of the US District Court for the Middle District of North Carolina ruled that the Republican map was unconstitutional. The Maryland case, also heard by the court on March 26, is also blatantly partisan. The Maryland case, Lamone v. Benisek, concerns successful Democratic efforts to turn a reliably Republican district into a Democratic one, and to oust Republican incumbent Rep. Roscoe Bartlett in the process. After the Democrats were sued, former Governor Martin O’Malley conceded in a deposition that political motives drove the redrawing of the lines in Bartlett’s district. The litigation has gone on for years. In 2018, the US District Court for the District of Maryland threw out the 2011 map and ordered a new map for the 2020 elections. Maryland’s Republican Governor, Larry Hogan, has already named members of a nonpartisan redistricting commission to redraw the lines. Nevertheless, Maryland’s Democratic Attorney General, Brian Frosh, appealed the decision to the Supreme Court, which heard both cases on March 26. The Supreme Court has ruled that redistricting on the basis of race violated the Constitution. But justices have been reluctant to take a similar stand when it comes to redistricting motivated to gain partisan advantage. Democracy advocates had viewed Justice Anthony Kennedy as their best hope in convincing the court to change its mind. He opened the door to the court ultimately ruling that such political gamesmanship is unconstitutional, but only if the justices could find some standard for determining when partisan redistricting was so bad it violated citizens’ rights. 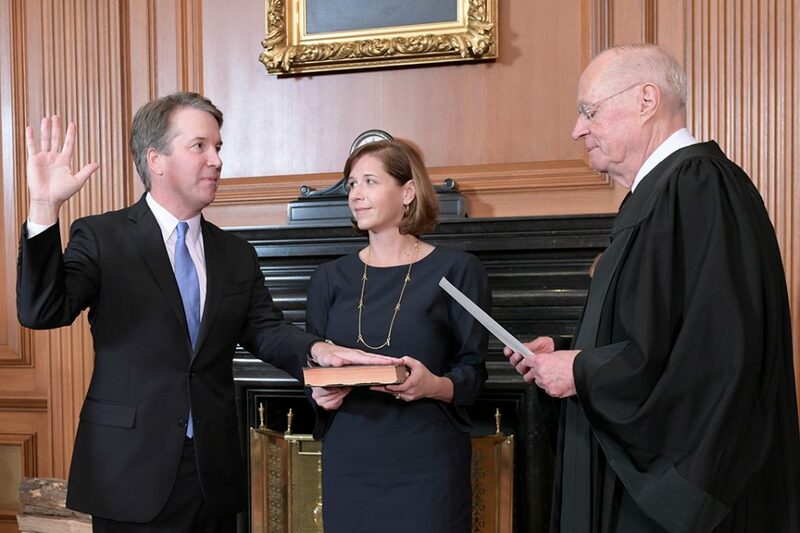 But Kennedy retired from the bench last year, replaced by a far more conservative judge, Brett Kavanaugh. And in 2018, Kennedy’s role in his last redistricting case, Gill v. Whitford, was minimal. The court ruled unanimously that the Wisconsin Democrats who had sued did not have standing because they hadn’t demonstrated that their own votes had been diluted. Nobody knows Kavanaugh’s views on this issue, but the four other conservative justices on the court have been wary of interfering in the way states draw district lines to gain political advantage. Would the Kennedy-Kavanaugh switch doom efforts to make extreme gerrymandering illegal? In deliberations last week, it was clear that Kennedy’s struggle to find a workable way to measure excessive partisan redistricting continues to bedevil the court. But Kavanaugh did not behave as court observers might have expected. The new justice asked several questions, trying to understand the standard that plaintiffs were using to determine whether legislators had designed lines that were so egregiously partisan they were unconstitutional. Most of the justices explored just when the normal partisanship one would expect in redrawing state legislative and congressional maps went too far. Was it when legislators expressed a partisan intent? Could you have some sort of mathematical test? Does the redrawing of the lines have to dilute some votes for years and years? 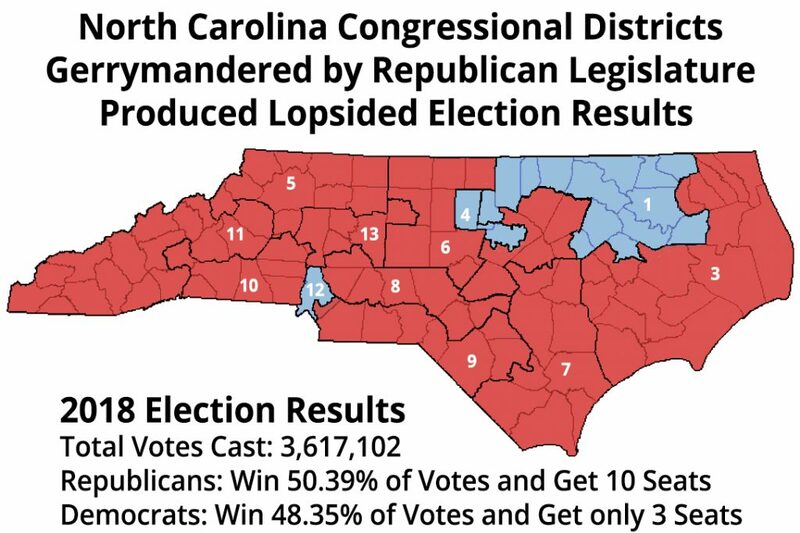 In each case, lawyers for the plaintiffs argued that, while partisanship often was a factor in redistricting, it should not be the overriding factor, particularly when a district was redrawn in a way that constituted “unfettered partisan manipulation” of the map to get the desired result. They offered evidence demonstrating that, in North Carolina, more than 99 percent of 24,000 computer-generated maps came up with alternatives that more fairly represented the 50-50 makeup of the state than the map Republican legislators devised. North Carolina mapmakers were “discriminating on the basis of a group’s speech and diluting their vote accordingly,” observed Justice Sonia Sotomayor. Those who defended the maps warned that the US Constitution makes clear that it is up to the states to determine district lines, that gerrymandering is as old as the republic, and that voters were not harmed by the political “stability” that partisan lines created. They also warned that if the Supreme Court got involved in judging claims of partisan redistricting, their caseload would be huge. “If you get in the business of adjudicating these cases, these cases will come, they will come in large numbers,” warned attorney Paul Clement, representing the defendants in the North Carolina case. 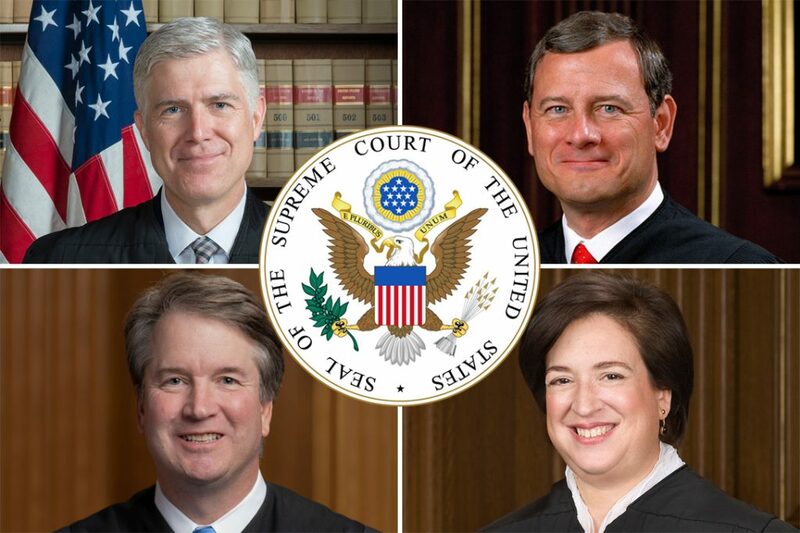 Chief Justice John Roberts challenged the notion that party affiliation matters that much in voting. He cited other factors, like “the particular appeal” of the candidate at the top of the ballot, for example. But Emmet Bondurant II, the lawyer for the North Carolina plaintiffs, reminded the judges that most states “east of the Mississippi” do not have the power to accomplish change through ballot measures. Justice Elena Kagan tried to reassure her fellow justices that their decision in these two cases would not cause an avalanche of new redistricting appeals. If the court were to rule that extremely partisan maps were unconstitutional, Kagan surmised, legislators would either obey the law, or make sure that their real motives for redrawing laws to give them a partisan advantage were kept secret. Because intent is usually hard to prove, that would mean that the Supreme Court would not be deluged by a flood of lawsuits, she said. The highest court would only be asked to evaluate the statistical outliers, the maps that don’t make any sense except to gain partisan advantage. “Something that’s really extreme, to use Justice Kagan’s words, would not be okay,” said Kavanaugh, who seemed to like Kagan’s frame for examining the problem. The court’s decision is expected sometime in June. Li said that the repercussions if the court fails to find even these blatant gerrymanders unconstitutional would be dire. “First of all it will make the court look political,” Li said, noting that the court will be perceived as “defending a Republican map in North Carolina.” He predicted that the attention would mostly focus on North Carolina’s redistricting plan, since it involved the entire state, while Maryland’s Democratic map affected only one congressional seat.